Blu-ray, HD DVD - remember them? 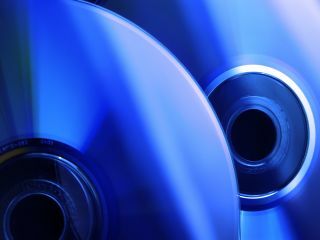 Straight-talking Seagate CEO Bill Watkins has told Wired magazine that Blu-ray's apparent victory over HD DVD is meaningless given that the future belongs to downloads rather than physical discs. "HD [DVD] versus Blu-ray... Well maybe Blu-Ray won, but it's a meaningless victory, because if you look at the CES show, there were devices everywhere, all designed to enable you to move and share content electronically. These were all storage devices - none of them had physical distribution of content," he said. "To be honest I'm pretty excited that people are starting to pull the DVD players out of these PCs and notebooks because people are going to download everything. And that really impacts Seagate." Of course, it should be pointed out that Seagate is in the business of delivering advanced digital storage solutions, so its CEO clearly has a vested interest in talking up the future of digital downloads over physical discs. That said, his vision is shared by a large number of analysts and tech watchers, especially those who envisage the digital home of the future as a clutter-free hub of perfect media integration. One handbrake detractors might be tempted to put on this oft-quoted vision of a near-future digital utopia is that it fails to realise that a lot of people actually quite like to own something tangible in return for their money - having a library of DVDs is very much the 21st-century equivalent of having a well-stacked bookshelf. Of course, the other main barrier to digital downloads becoming the norm is where all the bandwidth required to deliver them is going to come from. Time will tell.